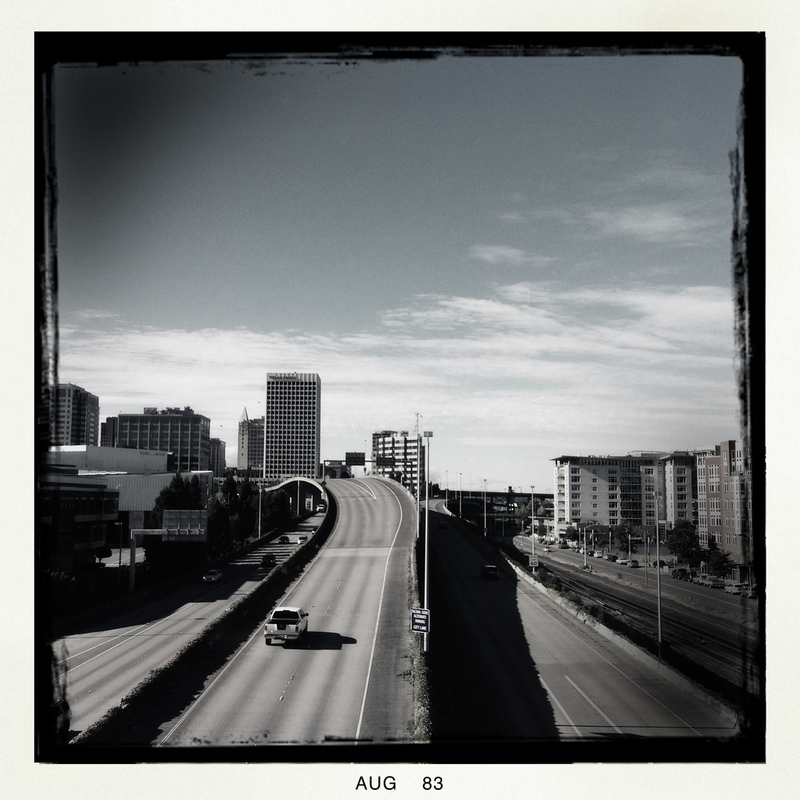 It was a lovely day and I strolled the area near Tacoma’s Glass Museum and stopped to capture I-705. I was talking to my dear husband and I said the highway wasn’t built when we first moved here and he said it was. We were both right. I moved here at the end of 1989 and he moved here in the spring of 1990 because he stayed in Texas to sell our house there. The road opened between our two moves. This entry was posted in Tacoma, Travel, WA State - Pierce County and tagged 705, highway, interstate, road, Tacoma on August 17, 2013 by admin.